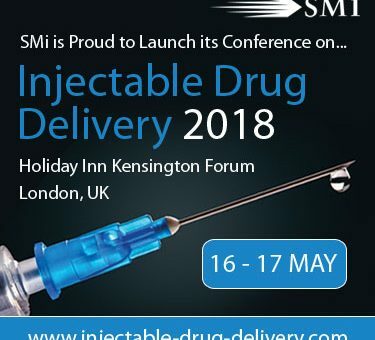 Building on the success of SMi’s 10th Annual Flagship Conference Pre-Filled Syringes, SMi are thrilled to present the launch of their Injectable Drug Delivery conference being held at Holiday Inn, Kensington Forum, London, on the 16th – 17th May 2018. Our global panel of speakers will strengthen your knowledge in key topics such as delivery technology, fill and finish process, the use of nanosystems in peptide delivery, drug solubility, weight-based dosing limits, evolving areas including polymer technologies and tackling high-volume and highly viscous drug formulations. With most diabetes medications taking injectable form, drug makers are increasingly exploring the use of prefillable self-injection systems for their administration. Self-injection systems can give patients freedom to self-manage their disease outside of the doctor’s office. However, with this approach comes new considerations around risk mitigation. Regulatory bodies around the world are asking drug and packaging manufacturers to ensure consistent quality throughout a drug product’s lifecycle in order to minimize risks to the patient and the drug. In this new era of treatment, the adoption of Quality by Design (QbD) principles in drug development and manufacturing is a way to put patients first. QbD delivers an improved, data-driven output, providing manufacturers with superior product and process understanding that minimizes risk, emphasizes patient-critical quality requirements and enhances drug effectiveness. Hear more about the emerging technologies within the design, packaging and manufacturing of pre-filled self-injections from Roche, as they present ‘Vial Based Novel Delivery Technology’ when SMi welcome the expertise of Maxime Gaillot, Senior Device Engineer this May.